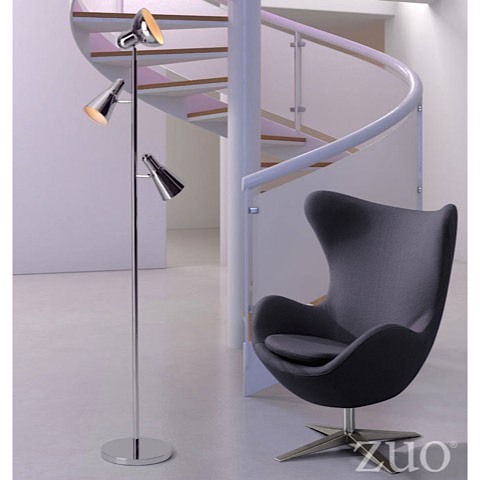 The Shuttle Floor Lamp blasts off with a round base and a slim body, accented by 3 pivot style chrome shades to highlight any living room, office or hotel guest room. Shuttle requires three (3) 40 watt max Type G50 bulbs with an E12 socket size which are included with the lamp. 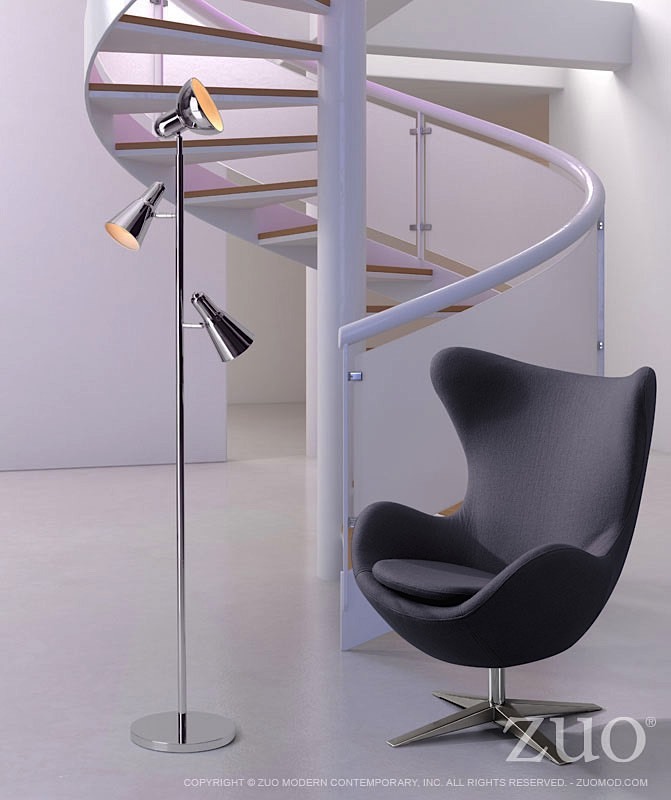 The lamp has a 86.6" cord length with an "on-line" switch type.